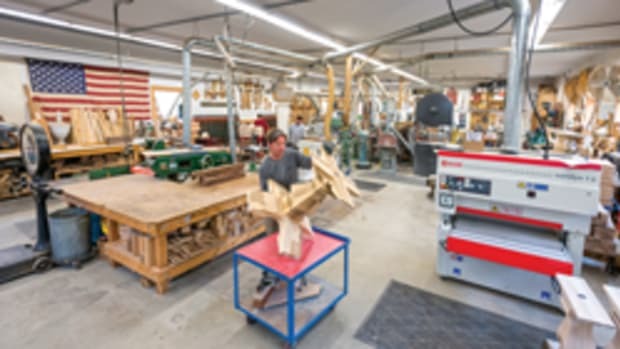 Bill Lensi, owner of MasterCraft Building & Millwork in Phoenixville, Pa., found his custom woodworking niche in the high-end residential remodeling sector shortly after establishing his company in 1987. He chose to solicit clients directly after getting burned by commercial builders. “It’s more work to work for the end user, actually less work for commercial people, but it just seems like they’re the ones getting the custom work done. The contractors are always trying to cut corners here and there to get it done as cheaply as possible. Our niche is high quality and you just don’t see the real high-quality stuff in commercial projects,” says Lensi. 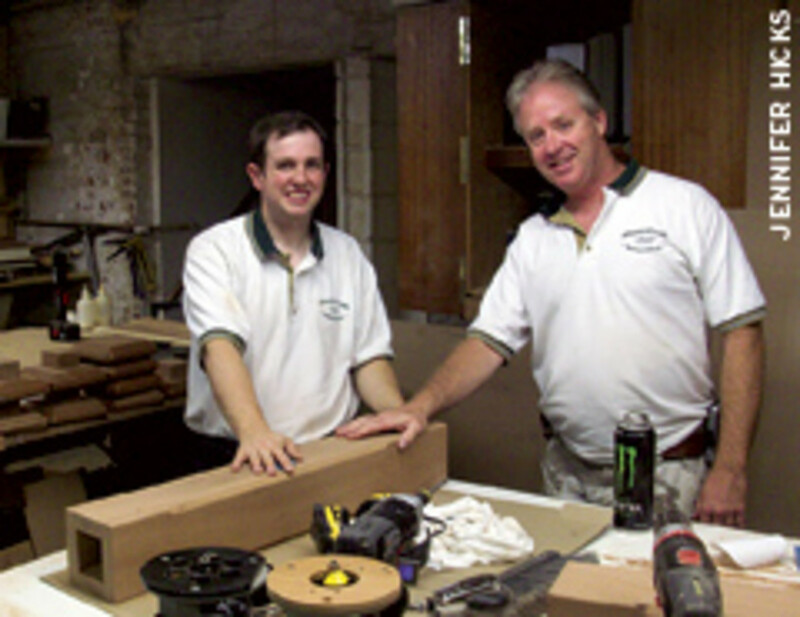 Lensi first tried his hands as a business owner in the pest-control industry in 1983 in a partnership with his brother. After several years, he decided he’d had enough and wanted to get into something he liked. Shortly thereafter, MasterCraft was born. The first shop was located in Kimberton, Pa., in a basement of an antique shop owned by his parents. He brought a partner in and got the business off the ground, but when the economy went south in the late 1980s, the partnership dissolved and Lensi continued on his own. After paying his debts, he decided to turn down any further work orders from builders and cater strictly to clients who contacted him directly for residential work and smaller commercial jobs. Formal training wasn’t required because a number of unique custom requests forced him to learn on his own. He began hiring employees as his workload grew. 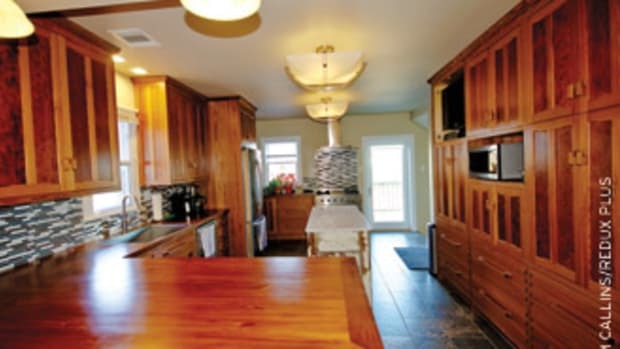 Early projects for builders included general casework, frameless cabinets and laminate tops. But in deciding not to rely on those sources any longer, he had to take what he could get. It took a lot of legwork, but he slowly built a clientele. 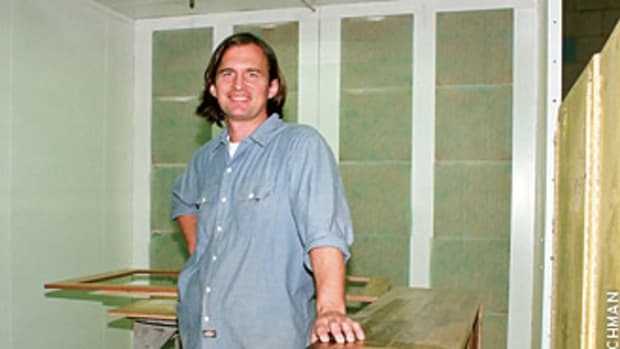 By 1996, the company had reached its peak in size with six employees and the following year Lensi rented his current 3,800-sq.-ft. shop. By 2000, he realized it was time to scale back. 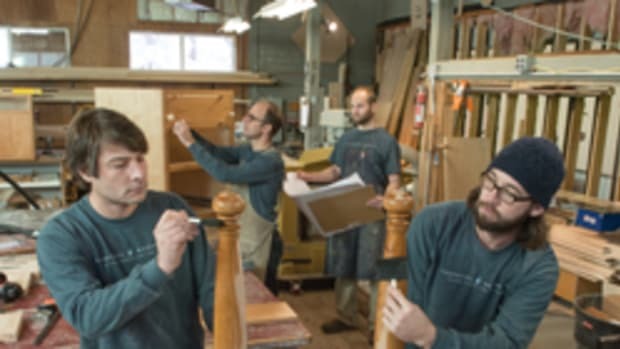 Lensi first felt the effects of the economic downturn in 2008, but did well until last year when he had to lay off several employees because business slowed considerably. 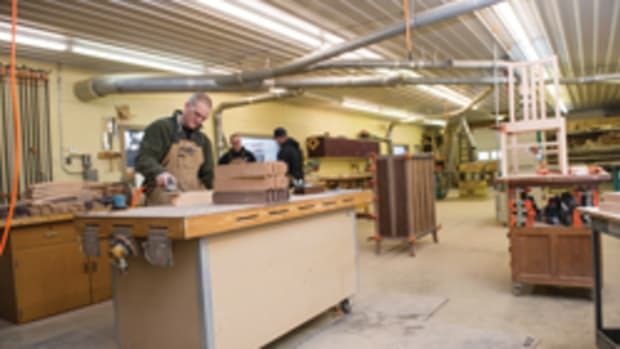 He held on to his one long-term employee, David Furlong, who’s been with him for 18 years and whom he describes as one of the most competent cabinetmakers he knows. Despite the small crew, the company is looking at a year-end gross of about $400,000. About 80 percent of clients are within 50 miles of the shop, residing in Montgomery and Chester counties. The remaining 20 percent are within 150 miles. He’s had lucrative jobs in Princeton and Avalon, N.J. There was another in New York that he’d rather purge from his memory. While the majority of work is in the high-end residential sector and he is still reserved about commercial work from that bad experience in the 1980s, Lensi will bend every now and then. The scope of services is broad given the size of the operation. The fact that his clients are wealthy spurs elaborate project requests. They include custom doorways and entryways, raised-panel wainscot libraries, coffered ceilings, mantle surrounds, entertainment centers, theaters and many home bars. Lensi does all of his drafting by hand. 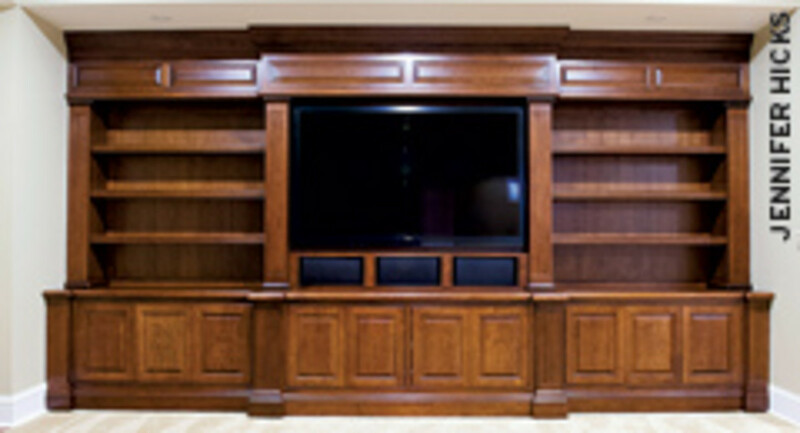 His clients favor traditional designs, so almost every cabinet project features beaded inset frames. 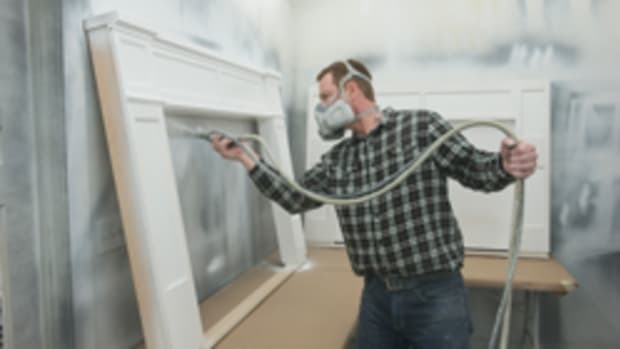 Finishing preferences are a 50-50 split between painted and glazed-over stain. 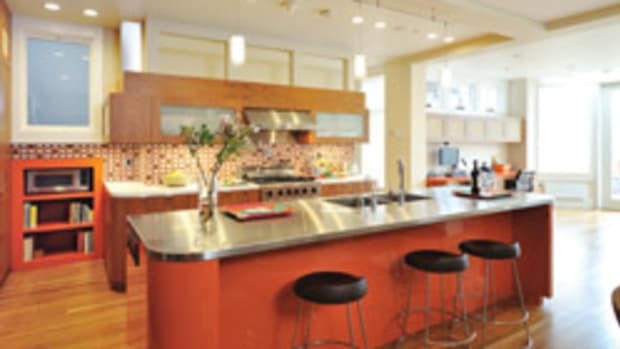 He sees color contrasting in rooms becoming a more prevalent trend, usually something like a very light maple-stained kitchen with a dark-painted or stained island. 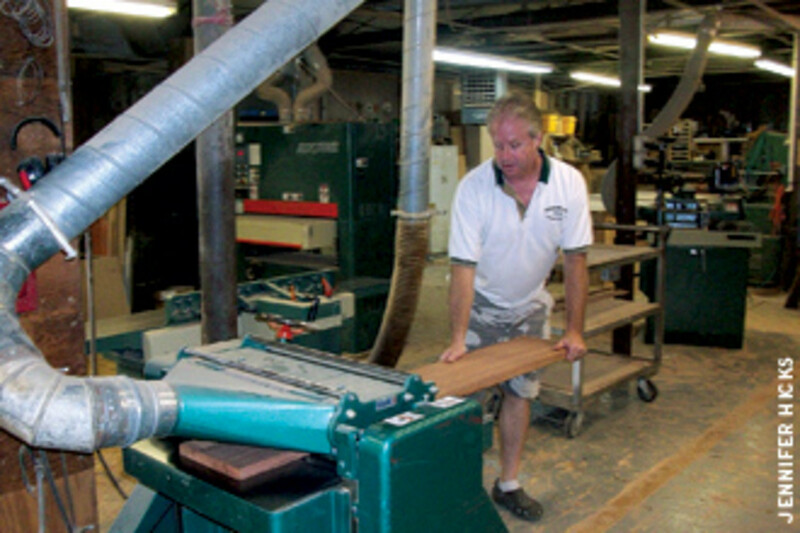 The company occasionally outsources finishing, but it is mostly done in-house. 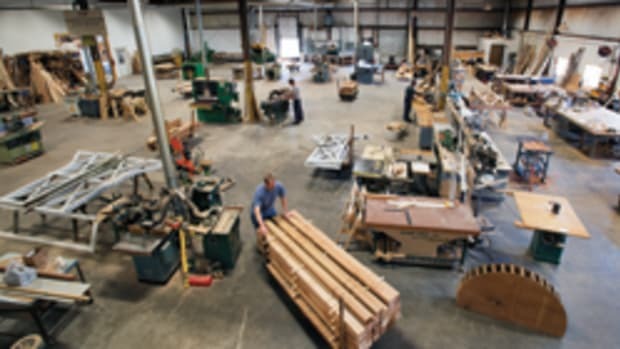 Shop equipment includes a Casolin sliding panel saw; General table saw; Bridgewood jointer, wide belt sander, shaper and edge sander; Grizzly planer; Ingersol Rand air compressor, Morso miter machine for beaded face frames; Kreg pocket hole machine; Agazzini band saw; Delta Unisaw and radial arm saw; Detel M-13 line borer; Shop Fox molder, and three Hitachi sliding miter saws. Like other woodworkers trying to make a decent living, Lensi is appalled by the underbidding going on by his desperate competitors. He calls it a prescription for disaster. Poor business decisions by of other shop owners have actually helped Lensi succeed. He stayed lean and mean while others gave in to their clients’ low-budget demands just to get the job. He sticks to his guns on pricing. Customers have tried to talk him down and, after unsuccessfully calling his bluff, returned to accept the initial price. He also declines offers for trades, which he gets quite frequently. Once, in lieu of the balance on a project, he accepted a client’s promise for several thousand dollars in advertising that he never received. Since 2008, Lensi’s backlog has remained at four to six weeks, but every now and then drops off. When business was at its worst about a year ago, he reduced his employee count to one to remain in the game. He also tolerates working in a dated building with an unstable floor because the rent is cheap. Above all, he works to exhaustion when given the opportunity. “I just got done working 40 straight days and I’d bet 35 of them were 12-hour days to get that project done as fast as possible. We took a couple days off after that. While other cabinet shops are doing well in the area, Lensi does not consider them to be threats because they offer different services. Lensi says his recipe for getting through the tough times will be to seek out the right customers and give them exceptional work, while screening out the problem customers. Lensi has big plans to build a new shop in a nearby location when the timing is right. He currently shares a showroom with other artists in Worcester, Pa., and wants to put a showroom in his new building. He will also build an inventory of stock cabinets to keep his prices low. If he hires anyone at all, it will be a marketing professional. Woodworking education is important to Lensi and he is considering starting a school after getting his new shop where he can teach the basics such as hand tool use and joinery techniques. 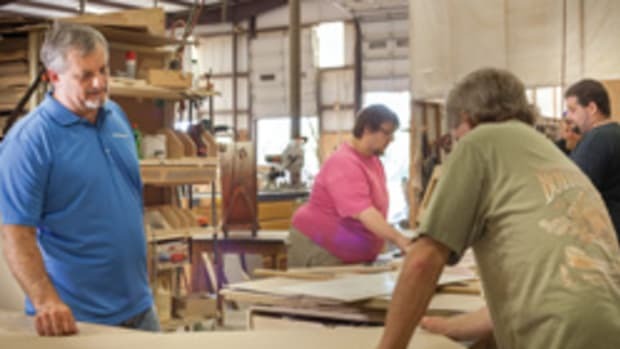 Right now, he donates time every other month at the local Cat Pickering School of Art and shares his business experiences with instructors to help them steer their students in the right direction. In the big picture, Lensi just wants to be financially comfortable . He will hang in there as long as it takes because he enjoys the satisfaction of a job done well and simply making customers happy.